Building on Tagore’s critique of “politics,” an English term Tagore does not translate into rajneeti (thus retaining its foreignness), the paper moves to Tagore’s turning away from nationalism as largely an “abstract being” or a symbolic form, and his turning, instead, to the question of dharma (as the dialectic between askesis, a la Foucault, and phronesis, a la Heidegger). Dharma as the this-worldly art-praxis of attending to what the abstract being or the symbolic form forecloses. For Tagore, Sriniketan is the context for such an art-praxis. For the authors, Ambedkar is the imaginary interlocutor of Tagore’s redrawing of the extant practice of the political. 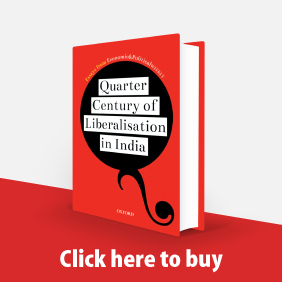 Taking cognisance of India's long-run economic transition in the post-planning era, it is argued that the triad of neo-liberal globalisation, global capitalism and inclusive development has come to constitute the new order of things in the Indian economy. This article explores the appearance of each, and the roles they played in reshaping the Indian economic map, and in displacing the rationale and practice of Indian state. This triad in turn has become the site of reference and departure for a novel set of contradictions-crises-resistance in contemporary India. The Invisible Handcuffs of Capitalism: How Market Tyranny Stifles the Economy by Stunting Workers by Michael Perelman (New York: Monthly Review Press, 2011; Delhi: Aakar Books, for South Asia), 2011; pp 360, Rs 650. 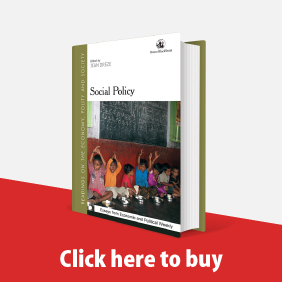 This article looks into a particular philosophical problem that haunts both Sociology and Marxism, and where D P Mukerji's perspective may be seen as relevant. There has been much ado in sociology over the debate between hermeneutic and positivist approaches. 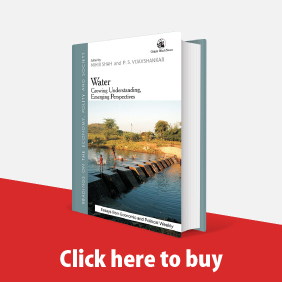 Drawing insights from D P Mukerji, we see his intervention as an attempt to find a way out of this impasse through a distinct rendition of the Marxian dialectic, which is seen as open rather than closed. His rendition combines three principles: taking sides, dynamics of the objective human reality, and most truthful to the wholeness. This unique rendition, D P Mukerji argues, is apt for addressing the philosophical problem of sociology in the context of the specificity of Indian history. A close look at the agricultural scenario in the hill state of Sikkim reveals that foodgrain production has been growing more slowly than population. The state has failed to augment agrarian reforms and public investment in agriculture has been on the decline. As a result, foodgrain production, productivity, gross sown area and the contribution of agriculture to the gross state domestic product are all declining. 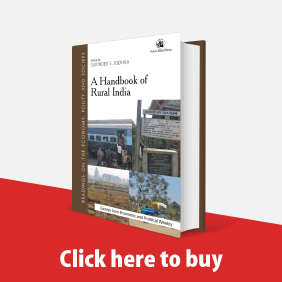 The limited availability of cultivable land and the unsuitable terrain have complicated the situation further. The fundamental challenge before the trade union movement is to find a new discursive space which will allow it to accommodate the reality of diverse labour practices and relate these practices to their created, appropriated and distributed wealth. For this to happen, the authors' provide a theory of labour that incorporates the varied labour practices and the manner in which wealth from these practices are appropriated, distributed and received, thereby widening the imagination of what is possible in trade union practice. 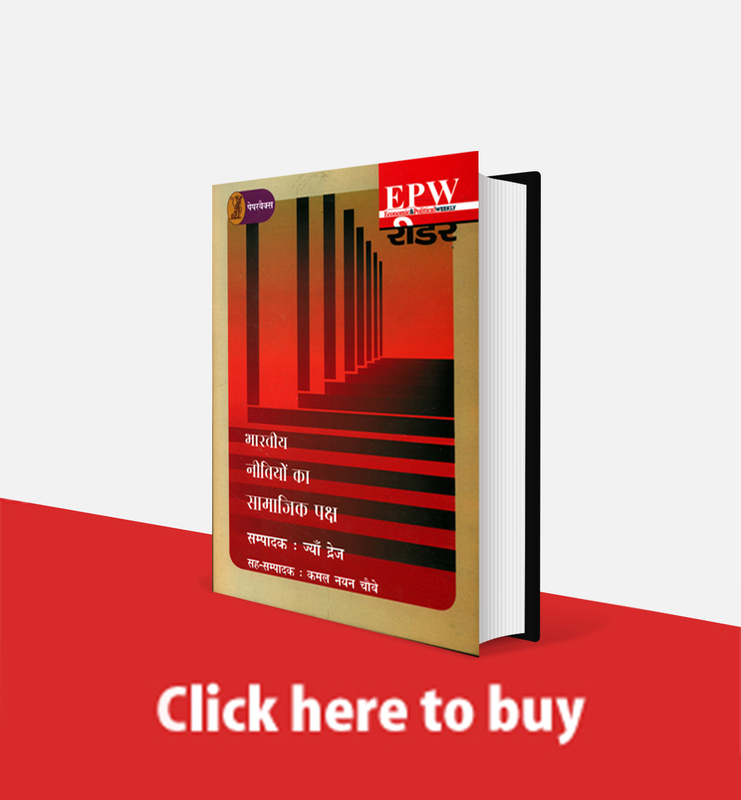 This paper disinters the report of the National Commission on Labour to reveal the ideological basis of the changes sought in the labour laws. Changes suggested in the labour laws flow from an understanding of labour that is derived from the perspective of capital. The policy goal of the NCL recommendations is to position labour in a manner that will ensure the expansion of competitive capitalism in India. The article deploys the class-focused Marxist approach to reveal how the NCL attempted to change the meanings of labour, the working day, work culture and indeed that of the labour rights as a whole.